Unexpected Turn in 4 Decade Cold War Spy Mystery. 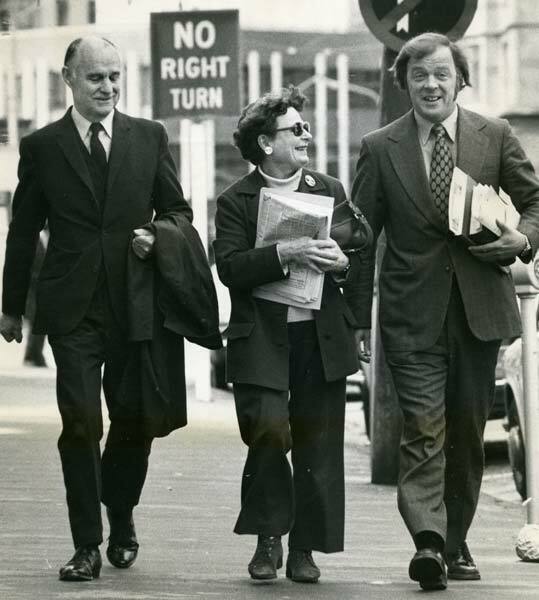 Electrifying new evidence wind up that top government official Bill Sutch was a KGB recruit working under the codename Maori forty years after he was acquitted of spying. When he was arrested while meeting with a KGB agent in Wellington in 1974,The Dominion Post has obtained copies of official KGB records that show Sutch was a 24-year veteran recruit of the feared Soviet spy agency. However, his daughter remained confident saying the evidence does not match her father and firmly believed he was not involved with the Soviets. Bill was a former bureaucrat with a high profile and plenty of influence. Sutch was charged in 1974 for trying to pass New Zealand Government information to the Soviet Union. He was acquitted following a sensational five-day trial. After 4 decades, the records provide the KGB’s answer to the enduring question from New Zealand’s greatest spy scandal: Was Sutch, a brilliant and senior bureaucrat who influenced several prime ministers, a Soviet spy? Smuggled out of Russia by a KGB defector, the papers also provide coded details of other Kiwis the KGB recruited during the Cold War. They even reveal the KGB’s New Zealand budget, showing that the year Sutch was arrested, their safe held a surplus $2504.64. The documents don’t name Sutch but the details clearly identify him and state he was recruited in 1950. Given the codename “Maori”, the records say Sutch was in contact with a KGB agent, Drozhzhin. The new evidence comes from papers copied by former top KGB archivist Vasili Mitrokhin, who defected in 1992. The papers have just been made public by Churchill College at Cambridge University in Britain. Only a few pages of the Mitrokhin records are devoted to New Zealand. The file with New Zealand material in it says the KGB recruited an “ex-high ranking official in state machinery” who was born in 1907, obtained a PhD and retired in 1965. That profile is a perfect match to Sutch who was born in June 1907, held a PhD and retired as the head of the Department of Industries and Commerce in 1965. The KGB thumbnail sketch says the agent was “recruited in 1950,” given the codename Maori and was “in contact with Drozhzhin”. Sutch therefore appears to have been recruited in New York as he was secretary-general of New Zealand’s United Nations delegation there from 1947 to 1951. Bennetts said Drozhzhin was a “seriously good KGB agent”. Sutch’s daughter, Helen Sutch, said she did not agree that the files showed her father was a KGB recruit for 24 years before his arrest and acquittal. “The idea is absurd. My father was a true New Zealander and his life was dedicated to New Zealand’s interests as his whole career and his personal life and his books and lectures show,” she said. She explained, “My father was charged on the basis of a few meetings at the end of his life, long after his retirement, not on anything he had done in his career and even then the charges wouldn’t stick.” The KGB files did not surprise her. “It is well known that KGB agents in general were desperate to talk up any contacts they had because they were under pressure from their superiors,” she said. Self Destruct Spy Gadgets a Reality?